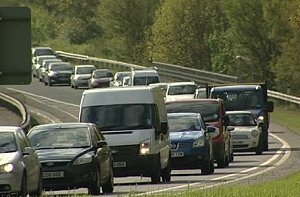 Balfour Beatty has announced it will start main construction works on the planned A21 upgrade after Easter. The upgrade is being delivered on behalf of the Highways Agency as part of a £35m dualling and improvement scheme. A 2.5 mile stretch of the A21 – the road linking London with Hastings – will be improved between Tonbridge and Pembury in Kent. A dual carriageway will be constructed, adding an additional lane in each direction, along with an associated junction, road layout improvements, two underpasses and an overbridge. Preparatory works on the road began last autumn after Balfour Beatty was awarded the contract in July 2014, beating off the likes of BAM Nuttall and Laing O’Rourke. It is anticipated the scheme will be completed in spring 2017.